The demand for professional candid wedding photographers in Kolkata or anywhere else in the world has risen exponentially in the last few years. At earlier times, hiring an experienced photographer for a wedding was considered to be an utter wastage of money. Days are gone when a family friend or a family member would photograph a wedding. With time, people have understood the differences that an experienced photographer can bring. As one of the trusted names in the field of candid Indian wedding photography, Abhishek Roy Photography has walked a long way. With more than 10 years of experience in professional photography, we are proficient enough to help you relive your wedding moments in the future! 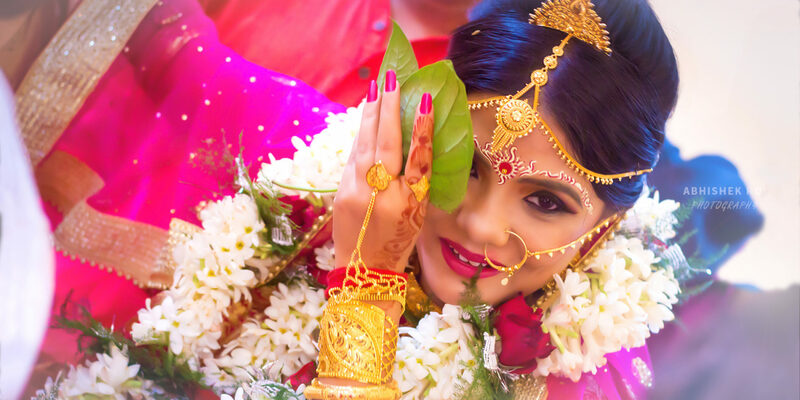 Making the right choice of professional candid wedding photographers in Kolkata! Let me guide you with this. And, you are not sure whether you should be hiring professional candid wedding photographers in Kolkata or traditional photographers to photograph the wedding? Well, people often get confused when it comes to the selection of a photographer who would be in charge of photographing a wedding event. A wedding is an experience of a lifetime and you would always want to remember that special day. The objective can only be achieved upon selection of the right photographer. A photograph without any emotion is like a human body without a soul. Traditional photographs which are mostly posed often lack emotions. On the other hand, candid wedding photographs look beautiful because they contain real emotions. Such photographs create a long-lasting impact in the mind of the viewers. By now, I may have solved some of your confusions and you should be able to figure out your actual requirement. If you still need to know more about this, you can check this detailed article on candid wedding photography. Like many other cities, creative candid wedding photography in Kolkata has gained immense popularity. There are many professional candid wedding photographers in Kolkata who offer candid photography services. The shift in demand from traditional photography to candid photography is quite encouraging for the creative photographers in Kolkata. As one of the leading candid wedding photography team in Kolkata, we offer authentic candid photography services for weddings in Kolkata. By authentic, we mean that we will deliver you the real unaltered emotions and moments from your wedding! Also, if you need the services of leading professional candid wedding photographers in Durgapur, Asansol, Burdwan, Siliguri, Ranchi or anywhere else in the world, feel free to write to me at info@royabhishek.com. ... because we know your wedding is precious! 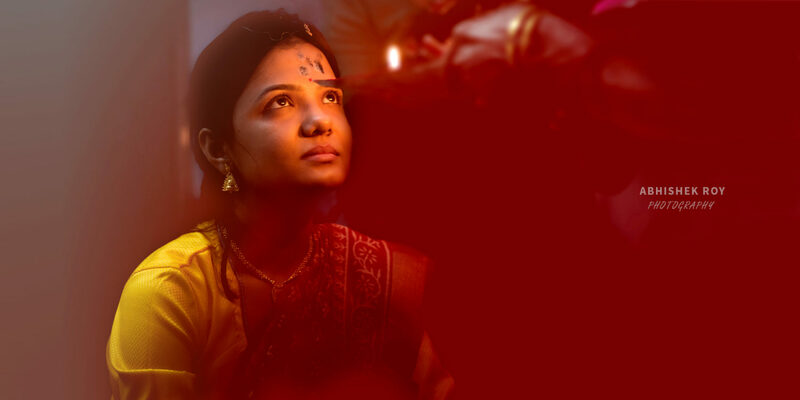 Looking for affordable wedding photography packages in Kolkata? We are affordable but we are not cheap! With our experienced team of top professional candid wedding photographers in Kolkata, we always try to deliver our best. Also, the quality that our candid wedding photographers in Durgapur deliver is top notch. Wedding photography packages in Kolkata or elsewhere depends on the quality of final deliverables, the quantity of the final deliverables and the total amount of time a photography team has invested in a particular assignment. Well, these are the three most important factors based on which wedding photography costs are evaluated. Our wedding photography packages are designed keeping in mind the varied needs and requirements of people belonging to different budget segments. We have tried our best in keeping our charges of creative wedding photography within your reach. If you have any requirements, just drop us an email at info@royabhishek.com. 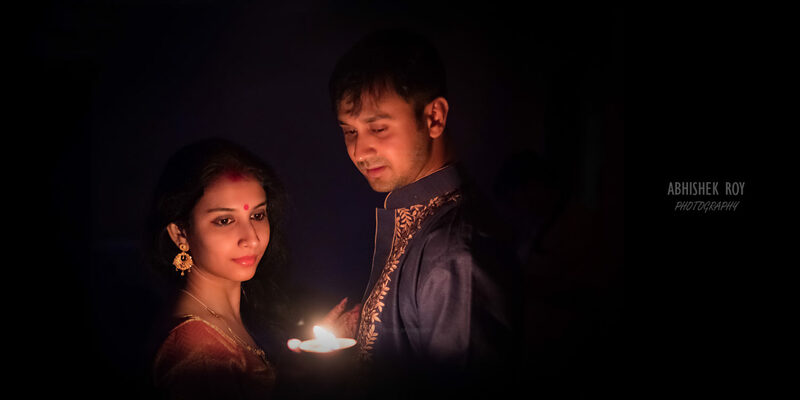 We are often regarded as one of the top 10 wedding photographers in Kolkata. We specialize in Indian candid wedding photography and with our documentary style storytelling approach, we make sure that the memories of your wedding day last forever! Our unique creative wedding photography ideas have been liked and appreciated by all. In every Indian wedding, we try to produce some candid wedding photographs that are exclusive and different from other Indian weddings! With all the appreciations that we receive from our clients have helped us to become one of the best team of professional candid wedding photographers in Kolkata.